This week I was talking to my colleague Caroline Boudreault about the numbers of Braconidae specimens, species, and primary types that we currently have in Ottawa (Canadian National Collection of Insects, CNC). Caroline, an extremely skillful and knowledgeable person when it comes to braconids, had been asked to revise and update the number of primary types here. Primary types (i.e. holotypes, syntypes, lectotypes, and neotypes, as defined by Articles 73-75 of the International Code of Zoological Nomenclature) are usually one of the main factors considered when evaluating the weight of a collection. The more the types, the higher a collection is ranked. Because primary types are name-bearing specimens. So, how good is the CNC in terms of Braconidae types? According to Taxapad, there are almost 300 institutions worldwide storing primary type material of braconid wasps, altogether representing 20,007 type specimens. 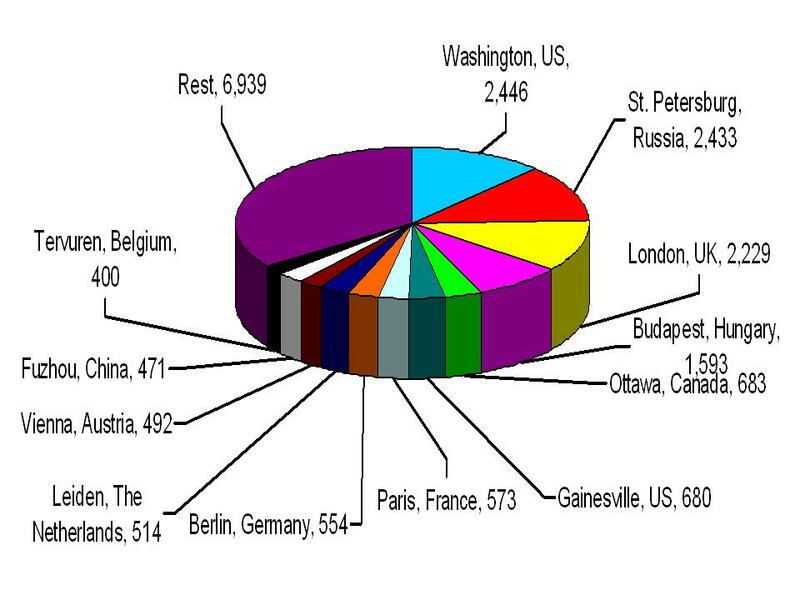 And, according to that source, Ottawa is the 5th largest collection in the world, with 683 types (see pie chart below). Number of primary types (mostly holotypes) stored in 272 collections of Braconidae worldwide (after Taxapad, 2012). When Caroline added some new data that is not yet in Taxapad, the number rose to more than 720. And then we will be incorporating over 200 new holotypes within the next couple of months (I will write about that development in a future post). Thus, in round numbers, the CNC collection of Braconidae is approaching the one-thousand-types mark. Of course, beyond the number of primary types it is also important to know the number of specimens overall, the geographic coverage of the collection per se, and its curation state. We do not know those figures with the same precision as for the types, but below I share what have found out so far. There are almost 60 cabinets, each with 29 drawers, for a total of over 1,600 drawers with braconid wasps in the CNC (a previous summary mentioned 1,500 drawers of Braconidae, but that number has increased steadily in the past two years). Based on that, and on a conservative average number of specimens/drawer, my tentative estimate would be around half million of specimens. And that only represents the mounted/pined material; there is a huge collection in alcohol (several thousand vials, as mentioned here), where many more thousands specimens await to be processed and incorporated to the main (dry) collection. As for the number of identified species, they total over 4,000 (out of 19,241 described species of Braconidae, according to Taxapad). Of course, there are thousands of additional species that remain undetermined -and many of them actually represent new species waiting to be described. Here, I have mainly worked with the subfamily Microgastrinae, which is by far the largest group of braconid wasps in the Ottawa collection -and in many other places. My updated figures for microgastrines in the CNC are: over 600 identified species (one third of the 2,000 or so described species worldwide), 95% of the known genera worldwide (only missing two), over 100,000 pined/mounted specimens, and a geographic coverage of 100 or so countries (in all biogeographic regions, from the tropics to the Arctic, with the only exception being the Antarctica, where no braconid wasp has ever been recorded). We also have DNA samples (mostly the barcoding region of the mitochondrial gene CO1) from over 12,000 specimens, and more than 10,000 specimens reared from Lepidoptera pests in Canada which are still unidentified in the collection but remain an extremely valuable source of information for biological control -whenever they can be studied. Those are the numbers I could gather to provide a snapshot of the CNC collection of Braconidae, especially the Microgastrinae portion. Now, someone may wonder why I am so obsessed with "numbers". Are they that important? Perhaps I am biased after following a former TV series called NUMB3RS. There, a mathematical genius helped the FBI to solve crimes based on the premise that anything can be modeled by numbers and equations... But, seriously, numbers matter because they provide us with a fast, nice overview of where we stand in a particular subject. Simple figures can effectively convey the message to policy makers, academia and citizens in general. The numbers I provided above show how significant the CNC collection is, and how important are those braconid specimens for agriculture, forestry, conservation biology, biodiversity studies, etc. It is a national heritage that we must treasure and nurture. 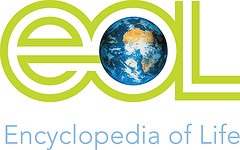 And it is a great source of new and historical information for the scientific community in general. 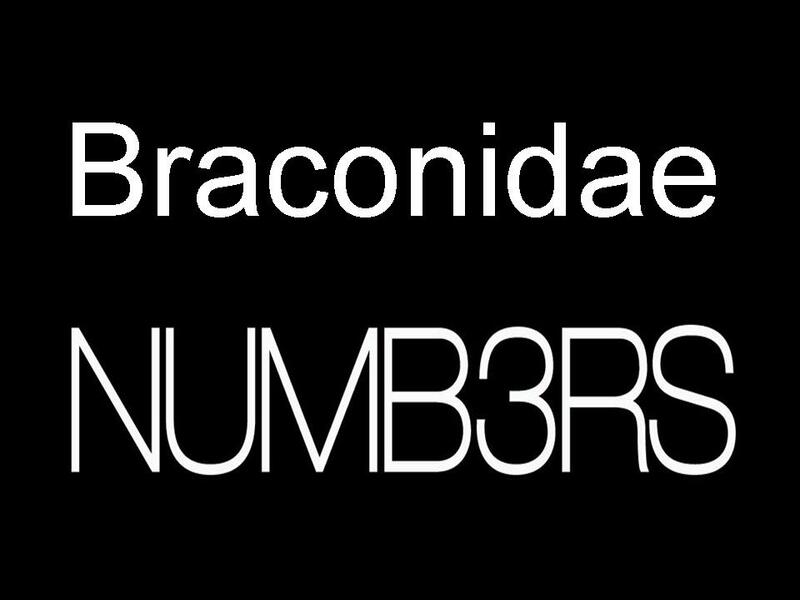 Those are the powers of the BRACONIDAE NUMB3RS!